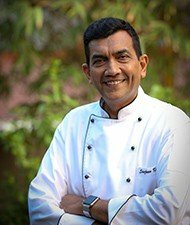 Keeping up with the innovative style of Sanjeev Kapoor coupled with the summer tradition of gourmet lovers in Muscat, The Yellow Chilli, Oman is hosting a month-long mango festival until the end of May. 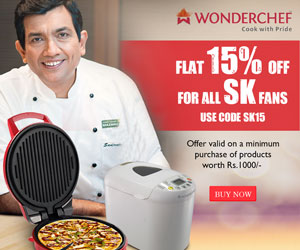 “The king of fruits has had the fancy of the Chef Kapoor since quite some time. So, he has developed some mouth-watering, authentic and unique Indian recipes for mango lovers. With the temperature soaring high every day, the foodies will get a chance to cool off with either the traditional aam panna or the Mango Mojito. Another highlight of the aam menu are dishes like Aam Rass Pani Poori, Amchur Papad, Nachos, Mango Salasa, Dahi Ke Kebab – Chhundo Chilli Dip, Arvi Aamiya Seekh, Achari Murgh Tikka, Karara Ambi Jhinga - Mango Tartar, Khatti Tawa Machchhi – Dhaniya Pudina Tabouleh, Khatti-Meethi Nalli Boti. To satiate the sweet tooth, there is also desserts like Mango Cool-Fi, Mango Malai Cream," says Sayan Ganguly, from the Mazaya Oman marketing team the parent company who brought The Yellow Chilli to Oman.